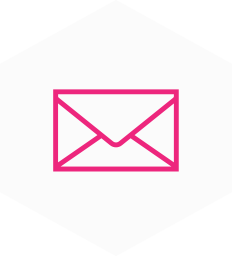 Please use the form below to contact us directly, if you wish to make a reseller enquiry then please visit our reseller enquiry page. At Packnet we appreciate that every business is unique, facing different challenges. Yet we also realise the importance of using the Internet to shape performance and have the capacity to plan, supply and support direct customers. 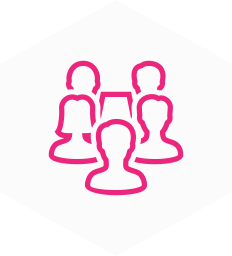 Our client centric ethos is designed to help our users discover the balance between operational efficiency and increased productivity through a high performance phone system. 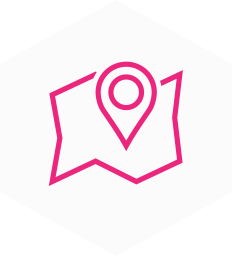 Unlike traditional telephony vendors, Packnet understands the need to deliver across key operational areas. Every Packnet customer has access to our voice portal Metis. 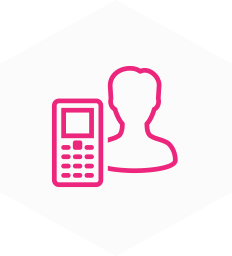 Fully integrated into our telephony platform, it enables you total control over your account. Most of the features here are actioned through Metis. Search and download your call recordings just minutes after hanging up. You can use us for storage or utilise our integration with Amazon S3 storage buckets (US, EU). We support pausing/un-pausing call recording through in-call dial codes. Where possible, we always ship hardware preconfigured and ready to make calls. We also provide a full Snom and Yealink provisioning and management platform you can use right out of Metis. 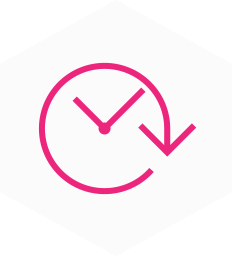 Configure your business's working hours and take advantage of individual dial plans for work hours and out of office hours. You can use Metis to build your own auto-attendant with up to 9 configurable options. Multi-tiered IVRs are available with no extra charge. 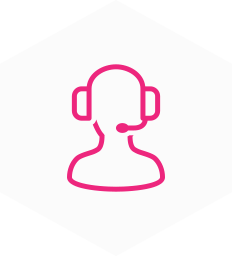 Call queues are configurable, free of charge and there are no limits to how many you can have. 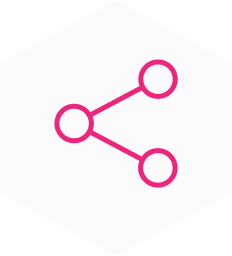 Manage your own inbound routing and keep track of your outgoing CLIs through creating Outgoing Groups. Metis allows for the immediate provision of UK geographic and non-geographic numbers. We support inbound faxes to Fax2Email numbers. Like with conference numbers, we can convert any number into a Fax2Email. You can run reports for your account or for individual extensions. 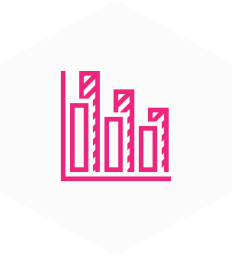 Export your report to CSV or view the output in Metis with accompanying graphs. We offer various conference number services depending on how many participants you require. Any number can be converted to a conference number. You will receive an email with a sound file attached containing your voicemail message, along with who left it and when. Perfect for when you are out of the office. You can use dial codes to record on-the-fly messages for your dial plans or voicemail box right from your IP phone. When you're finished, the file is uploaded to your account instantly and available to place into your dial plan. You can enable call pickup for your entire account or pick up groups for individual departments. 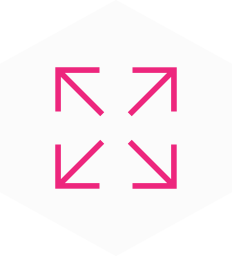 We use industry leader CounterPath's Bria Stretto for our preferred softphone partner. As a business, your ability to develop and react to change is important, and the last thing you need hindering your growth is your phone system. 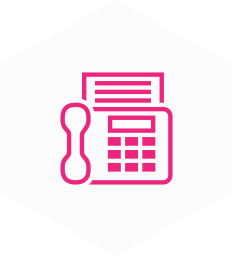 With a Hosted Telephony system, your phone lines can easily grow with your business, whether you’re expanding, shrinking or changing to meet the requirements of your employees, Hosted Telephony will move with you. With a Hosted telephony system, set-up can be faster than you think. All you need is a broadband connection, an IP Phone or softphone, and a telephone number. Even better, if you already have the equipment we can set you up within 24 hours. Amazing right? Unlike on-premise PBXs, businesses using a Hosted PBX system, such as ours, will be excluded from needing to have PBX hardware on premise. This saves your company from costly up-front investments and best of all, it means that you don’t have to be blindsided by maintenance fees. One of the great things about a Hosted Telephony system is that it's not geographically dependent. 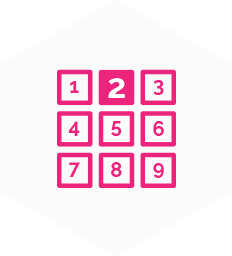 This means that you could very well pick a new number with a different area code. For example, your business could be based in Yorkshire, but use a Manchester area code. Here at Packnet, we consider ourselves to be a Jack of all trades, and yes, we do consider ourselves a master of all. 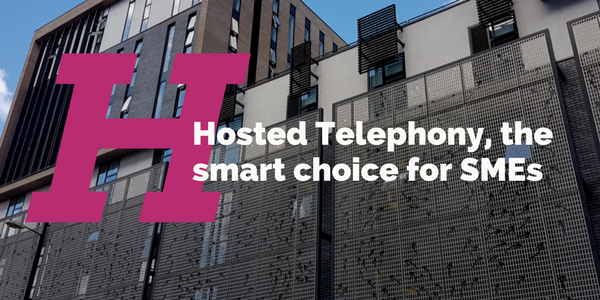 Not only do we offer Hosted Telephony, but we also provide a multitude of services which include hardware, connectivity and training to name a few. 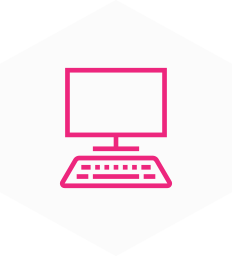 Metis seamlessly integrates all aspects of your telephony into one online portal, making it easier for you to manage. Useful features include being able to control dial plans, voicemail boxes, phones and services. 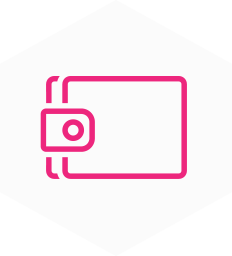 Metis not only allows you to bill your customers, but to also see invoices, set credit limits and track transactions without having to break a sweat. Metis' reporting suite allows you to maintain control over what happens in your business, making sure that you are always in the know. The reporting suite effortlessly gives you insight into all the calls made from your business, the duration of the calls and any recorded calls. There's nothing more frustrating than a novel length worthy book of instructions. 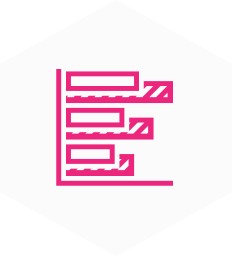 Packnet Provisioning means that you don't have to suffer through that. All your equipment instantly arrives ready to plug in and use. Having access to your business' call routing is vital and so, with our Metis telephony portal you'll have the privilege of being able to access it 24/7. Being caught unprepared will be a thing of the past. Want to get to know us more? You can also reach us via Twitter, LinkedIn and Google Plus. Email technical support is available by emailing voip@pack-net.co.uk. 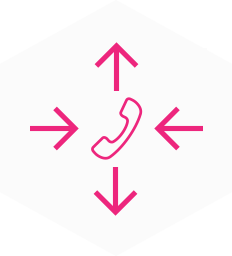 Tailored technical and pre-sales support is available on 01616602350, or 7878 from any Packnet handset. Do you have an urgent query for a job that can be solved quickly? 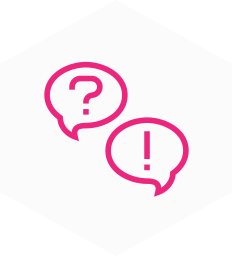 Head over to our Metis Online Chat to speak to a member of our specialist support crew. What is a hosted VoIP solution? A hosted VoIP solution is a phone system in which calls are made over the internet. The phone service is housed in a location which is not at the businesses’ premises, therefore it being ‘hosted’. A hosted VoIP solution is also known as a Hosted PBX. What's the most reliable phone system for a startup? If you’re a startup, we’d recommend a voip service. 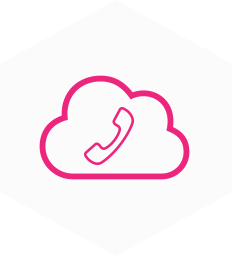 A voip system, such as ours, offers its users the flexibility and ease to grow or change to the requirements of their business. Better yet, our phone system, you’ll find that your overall costs on communication will decrease since you certainly won’t be spending much on upkeep, maintenance and best of all, international call rates. What is a white label PBX solution? A white label PBX solution refers to a PBX phone system that is developed by another company, it can be rebranded by another company, who can make it appear as though they made it. The white label PBX solution is preferable to businesses who want to provide their customers with business phone services without needing to devote a large chunk of time and money into developing their own system. What is the best VOIP solution for a UK small business? As a small business, costs are very important and so is your communication. 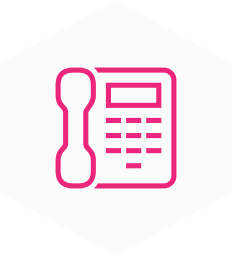 With Packnet, you’ll find that call costs will be considerably reduced. VoIP allows users to make international calls without the high rates you’d normally find with traditional phone systems. Better yet, a business using Packnet benefits from free calls between employees in different countries. In addition to that, you’ll find that with us as your provider, your company will spend less on upkeep and infrastructure. Are VoIP and IP telephony the same thing? Whilst the two terms are used interchangeably, they are not the same thing. However, there are similarities between them, the most obvious being that both technologies use the internet for communication. VoIP (Voice over internet protocol) refers to making and receiving calls over the internet. 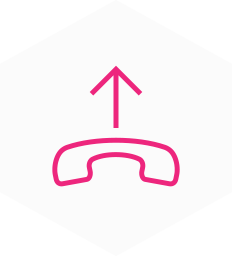 IP Telephony on the other hand, refers to the overall use of the internet to communicate via methods that are usually made with a traditional telephone network. What do you mean by enterprise VoIP solutions? An enterprise VoIP solution is a phone service that provides a company with a large number of employee’s to make calls via the internet. The phone service is specifically designed for big companies. 1. One of the great things about having a Hosted Telephony system in your business is that they are less vulnerable to power and internet outages during harsh weather. Usually your service provider, which would be Packnet, will have a network redundancy in place to ensure that in the case anything happens, there will be backup so your business won’t suffer. 2. A Hosted telephone system does not usually require any installation. The provider will send phones out preconfigured and access to phone system features, for example call pickup is automatic. 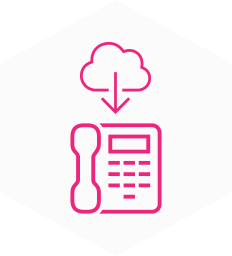 Costs Adopting a traditional system will mean that the initial charge and set-up costs of your phone system will be higher. In addition to that, you will also have to fork out the money for maintenance. A traditional PBX is perfect if your company is more comfortable with making a one-time purchase rather than a monthly fee. Off-premise PBX systems do not require any installation, meaning your business will bypass the high initial charge. Money for maintenance is usually added within your provider’s plan, which means that in the case of any problems, you will be protected. Maintenance Traditional PBX systems use copper wires, which are far more susceptible to bad elements and power outages. And since the system is on your premise, your business will need to foot the bill towards fixing any issues. Hosted PBXs are less vulnerable to power and internet outages during harsh weather. Usually your service provider will have network redundancy to make sure that in case anything happens there will be backup. Flexibility When you have a traditional PBX, you may need to remove or add extensions, and typically this does require training. Problems may occur if you don’t have any staff experienced with technology. With a provider maintaining the system for your business, things such as adding or removing extensions can be done swiftly by experts. 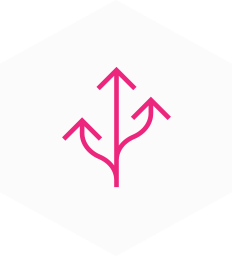 If your organisation has more than one location or employees that need to travel frequently, a hosted PBX system gives you the option to have all extensions under one system. Space With an On-site phone system, you will need to consider an appropriate space to keep your phone system powered and secured. If you have space to spare, then perfect. The phone system is held within the premises of your provider meaning that you don’t need a designated area specific to the phone system. This is great for budding businesses and SMEs. Set-Up When it comes to a traditional PBX system, your business will be in charge of the system’s overall installation. A Cloud-based PBX does not usually require any installation. The provider will send phones out preconfigured and access to phone system features, for example call pickup, is automatic. Usage When you have a traditional PBX, you may need to remove or add extensions, and typically this does require training. Problems may occur if you don’t have any staff experienced with technology. 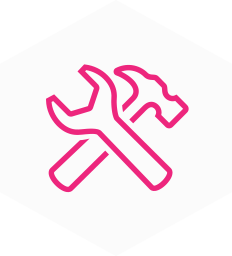 With a provider maintaining the system for your business, things such as adding or removing extensions can be done swiftly by experts. If there’s one thing a call centre relies on, it’s voice communication. If your business’s communication with customers or recruits aren’t up to par, you could very well find yourself losing money. And who wants that? No one, therefore, why risk losing money with a subpar phone system? Whether you run an estate agency or salon, speaking to your customers is arguably the most important part of your business and any business to be truthful. Moreover, communication doesn’t just end between you and your customers; you need to speak to suppliers, partners, recruits and so much more! Large corporations may rule the vast landscape of business, but with the recent slew of mega-corporations such as Toys ‘R’ Us and Maplin crashing and burning, it’s clear that bigger isn’t always better. 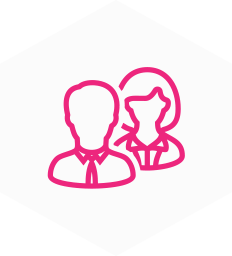 SMEs, such as ours, make up the largest fraction of companies operating in the UK – with 99% of the 5 million businesses being qualified as SMEs.